What sound (phoneme) can a stick make? Use in phonics when teaching a new sound - especially useful when teaching digraphs and trigraphs. Once you have introduced the new sound and children are ready to practice writing it, take them outside and let them find leaves and sticks and let them form the grapheme with sticks. 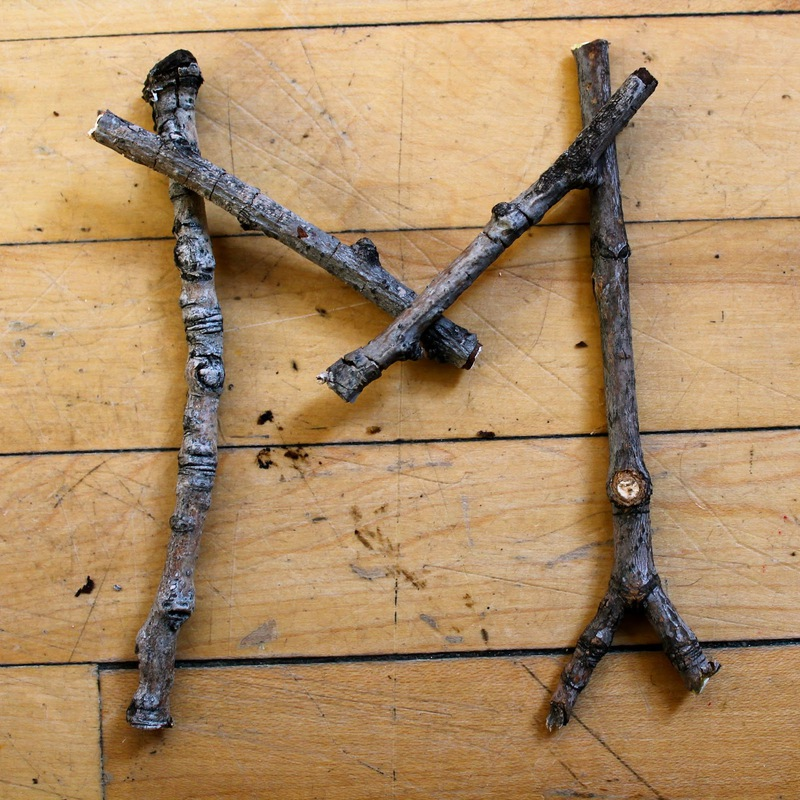 Challenge children to write words with leaves and sticks with the new sound.